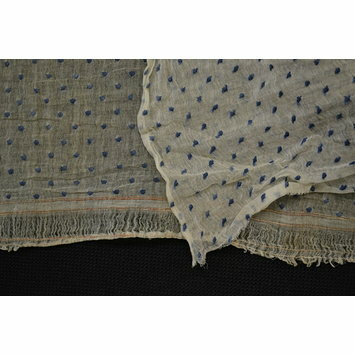 Cut length of fine muslin, embroidered with a regular pattern of blue spots. Pieces have been cut out. 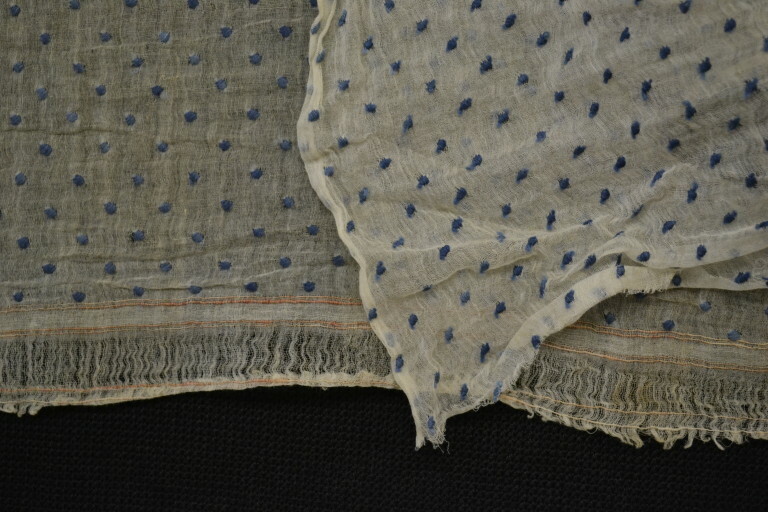 The complete object would probably have been intended for use as a garment, clothing.